The Irish Farmers Journal competition is back at the Tullamore Show. Finalists will come to the Tullamore Show where all the animals will be on display at the Irish Farmers Journal stand, and they will be interviewed in an informal and friendly manner in order to pick the winners. Prizes include 5 excellent beef breeding heifers, 2 lovely dairy breeding heifers, and 5 fantastic pairs of breeding hoggets. The competition is open to young people between the age of 10 and 18. 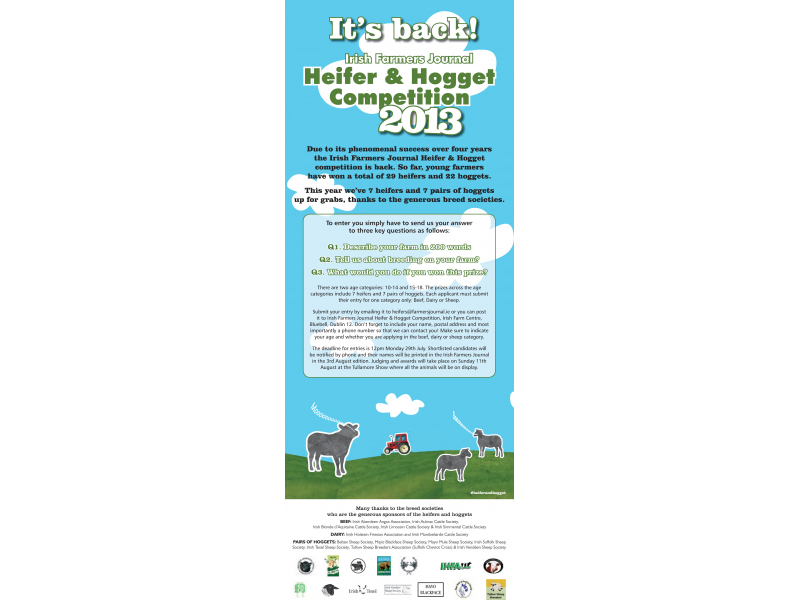 Si if you are a young person who loves farming and would like to win a heifer or a pair of hoggets, then its time to get your entry in!. 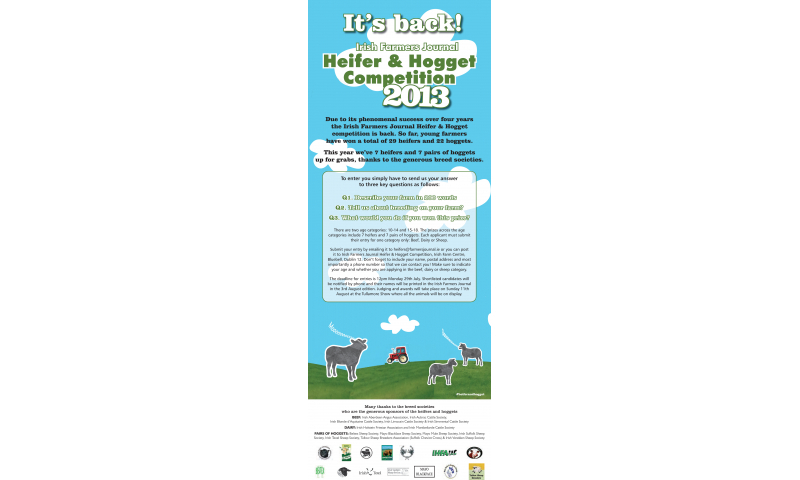 Deadline for entries is Monday 29 July 2013. SHEEP 15-18 Amy Finn, Co Kilkenny. Brian Miley, Co Wicklow. Nicola Salmon, Co Galway. Nigel Browne, Co Tipperary. Ronan McGarraghy, Co Sligo. Ronan O’Connor, Co Wexford.